Aardvark Plant Leasing is a full-service, family-owned-and-operated, professional indoor landscaping company. We have been servicing Marin and Sonoma County businesses for the past 35 years providing Plant Rental, Plant Maintenance and Retail Sales. Plants bring the beautiful outdoors in so we can breathe and feel healthier in our indoor working environment! We know how important it is to have plants in your surroundings while you work. We offer a range of services so you can budget what you need for your business. 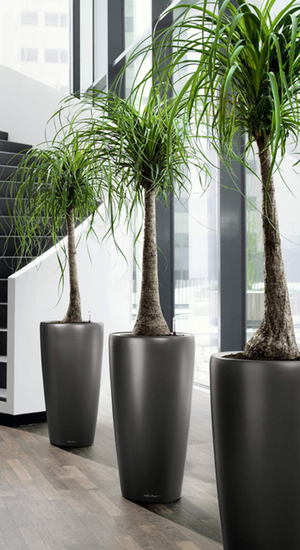 We provide a variety of interior plants with shapes and textures to enhance your business area that are happy with your indoor lighting conditions. We show pictures of plants for you to choose from so you know exactly what is available for installation. Once installed, plant leasing includes plant maintenance (watering, pruning, dusting and fertilizing plants to ensure healthy growing conditions), moss, saucers, and replacement of plants when needed. Our company offers top of the line ceramic and fiberglass containers to go with your decor. In addition, we offer baskets in many shapes and stains. The Norfolk Island Pine is always a nice touch in the office for your desk. 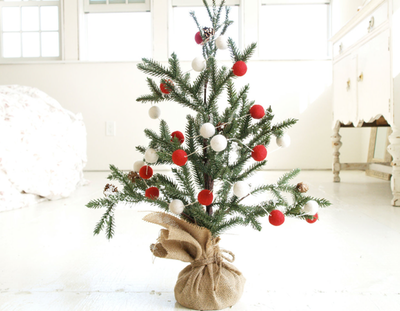 You can add the small fiber optic lights for the perfect little Christmas tree. Purchasing plants at retail allows you to own the plants and still have a replacement program. This is a guaranteed maintenance program.You will then own the plants and still have plant maintenance and replacement as needed. 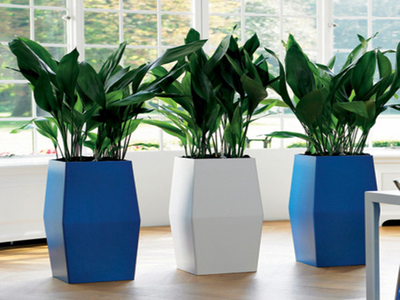 Boxes (with a number of plants) are available in many sizes, colors and finishes. Planter boxes can be used as dividers to add privacy and absorb sound. Small 30″ planter boxes can hold up to 5-6″ plants of your choice, to sit on your cabinet or we can clamp onto partitions in your office. Orchids are a great alternative to cut flowers to help beautify your surroundings. There are many species to choose from such as Odontoglossum, Dendrobium, Phalaenopsis, Dendrobium Nobile, Masdevallia, Miltonia (pansy orchid), Vanda, Cymbidium, Oncidium, Paphiopedilum (lady’s slipper). 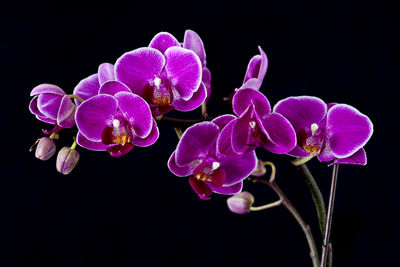 Orchids may be purchased and may be added to your Plant Rental Program for extra color. *Not all species of Orchids are available. We have a variety of plants to choose from to go with your decor. We specialize in low light conditions. 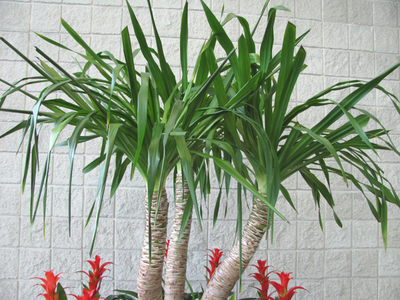 The plants shipped from Hawaii are acclimated for your office to insure long life. If you love color then you will enjoy the wide range of flowering plants available for interior plant design. 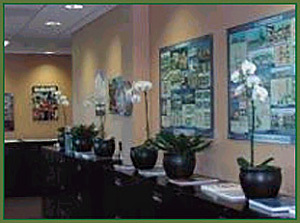 There are many varieties of orchids in lots of colors for your lobby or reception area. Bromeliads are very sturdy and have brilliant colors and textures to choose from. We provide orchid, bromeliads in flower bowl arrangements in constant rotation to keep your lobby, reception or office area beautiful. 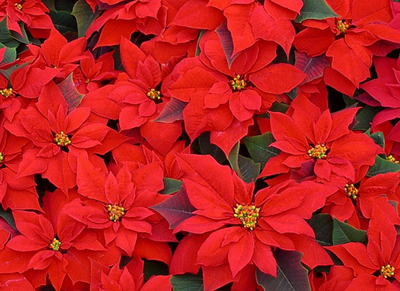 We offer Holiday Poinsettias and Azaleas in a large assortment of color. Also for the holidays, we have Ivy Topiary, Hydrangea, Amaryllis (my favorite), Cyclamen and the famous Christmas cactus. Plants Will Clean & Beautify Your Office! Plants in your business promote productivity. The physical environment of a business directly affects an employee’s ability and desire to work. 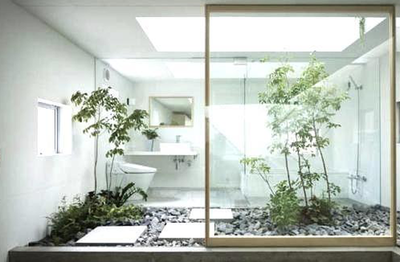 Plants cleanse the air and combat “Sick Building Syndrome”. NASA-funded studies proved that plants commonly used in interior plantscaping cleanse the air of many harmful pollutants such as formaldehyde, benzene and trichloroethylene. All plants help in removing pollutants. Depending on the lighting in which you will place your interior plants, there is a large variety of color and textures to choose from to go with your decor. The Plants for Clean Air Council recommends one potted plant for each 100 square feet of floor space. Plants help keep humidity within a healthy range. Plants added to your office add moisture to the dry overheated air often found in sealed office environments. Plants bring the beautiful outdoors in, so we can breathe and feel healthier in our indoor working environment. 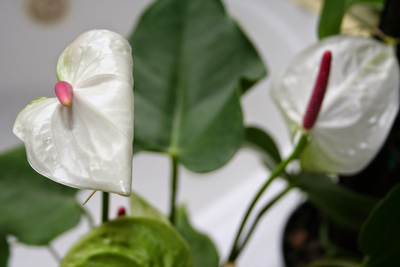 Virtually every tropical indoor plant and many flowering plants are powerful removers of indoor air pollutants. The following chart lists the plants in the NASA study that most effectively removed pollutants in the air. It makes it easier to know the plant leasing company you are dealing with, as some companies enjoy a better reputation than others. Choosing a local company that has a good reputation in your area, a referral from another business or from someone you can trust makes sense. Has the plant leasing company you are looking at been in business for many years? If so, most likely it has the reputation, experience and resources to provide you with the best plant service for your needs. The plant leasing company should take the time to listen to what your plant needs are. In addition, give you a carefree plant experience.